We arrived in Paris on a warm morning in June after 30 hours of flying. 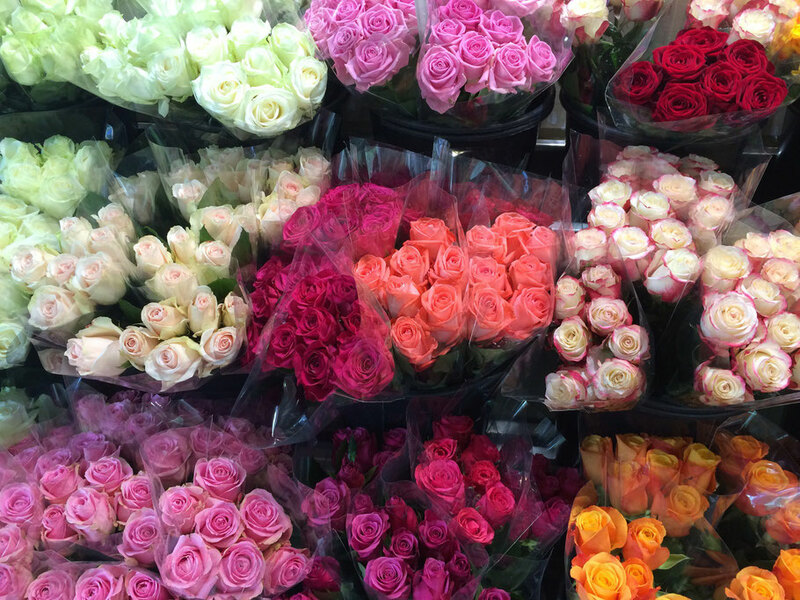 Despite the fatigue I spent the entire day squealing at everything I saw and skipping down the footpath. 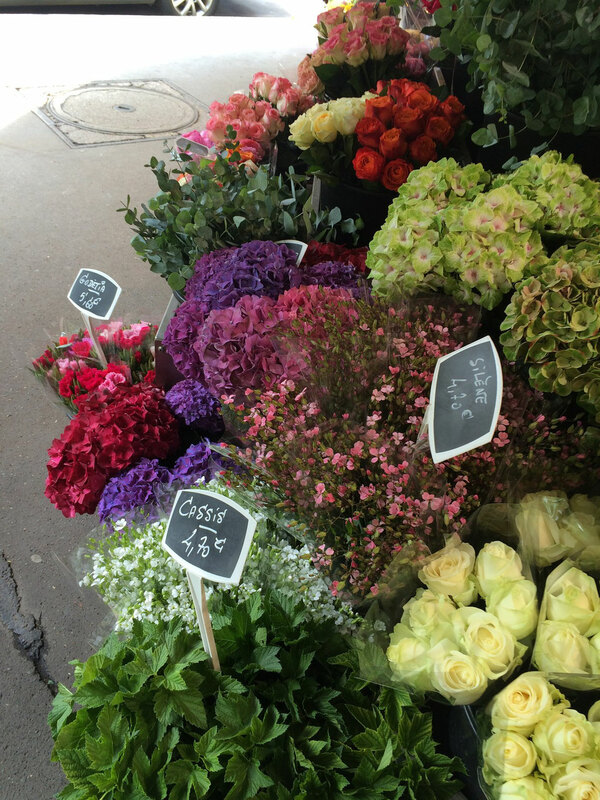 Paris is by far my favourite city in Europe (if not the world). 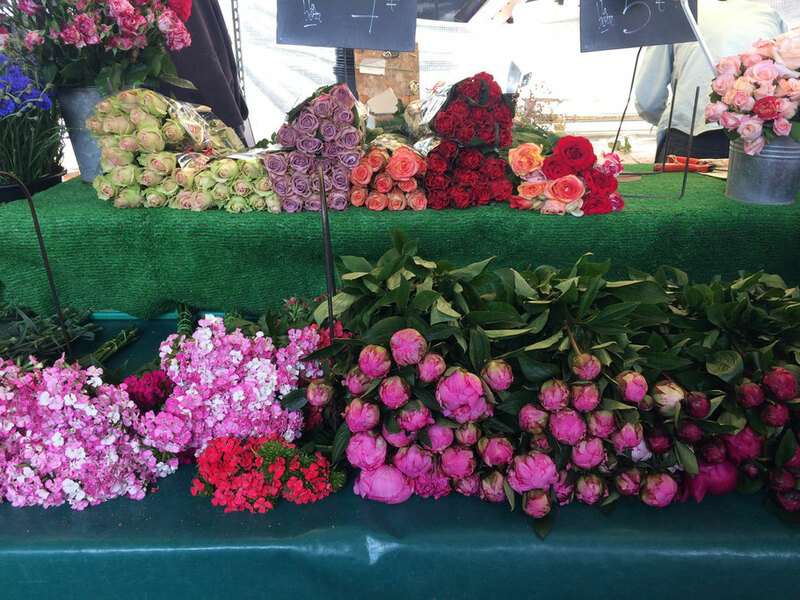 Every street is donned with boulangeries wafting aromas of fresh pastry into the air and florists with pinks and purples sprawling onto the footpath... and then you look up. Perfectly symmetrical, white windows framed with wrought iron balconies clinging to a haze of creamy sandstone. 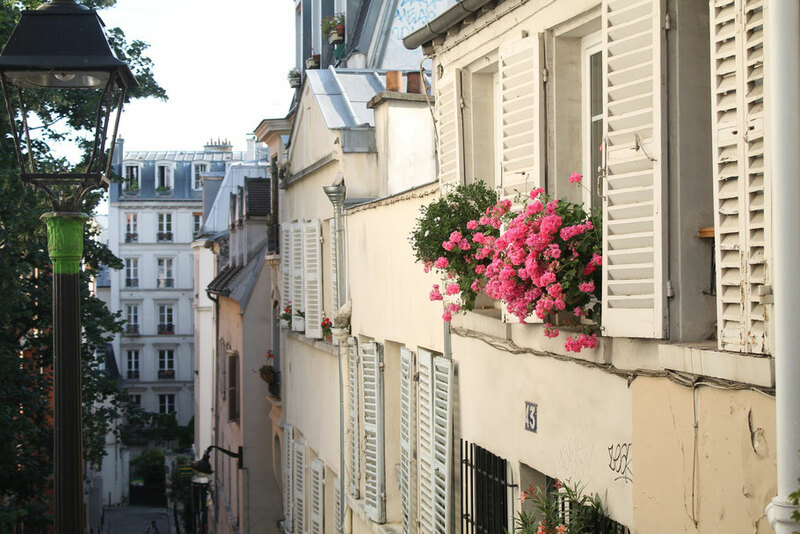 No photograph or description can really prepare you for the beauty that is Parisian architecture. 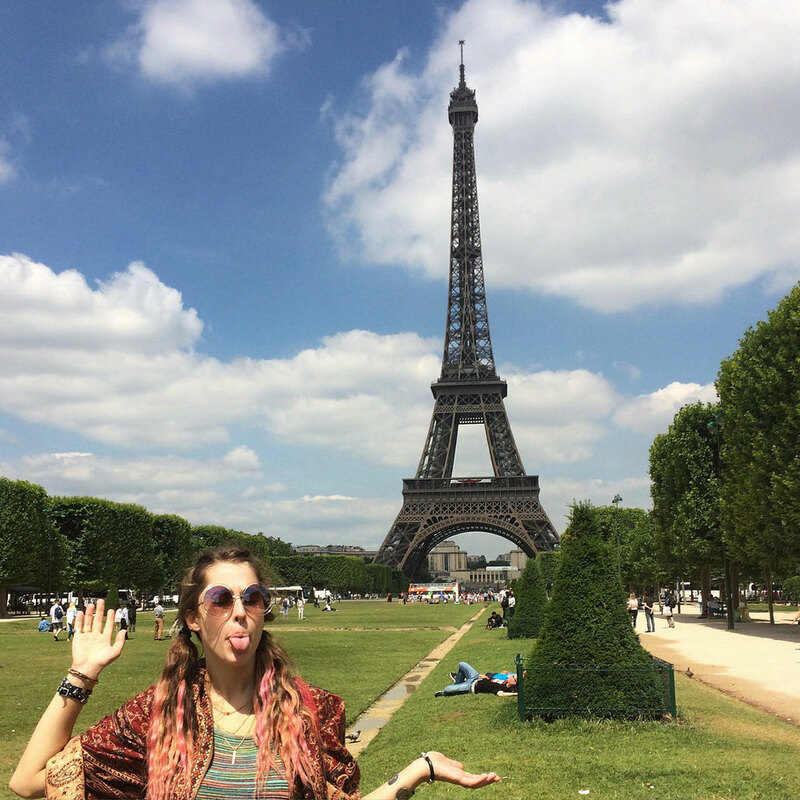 We spent 2 weeks in total in Paris over the duration of our trip. 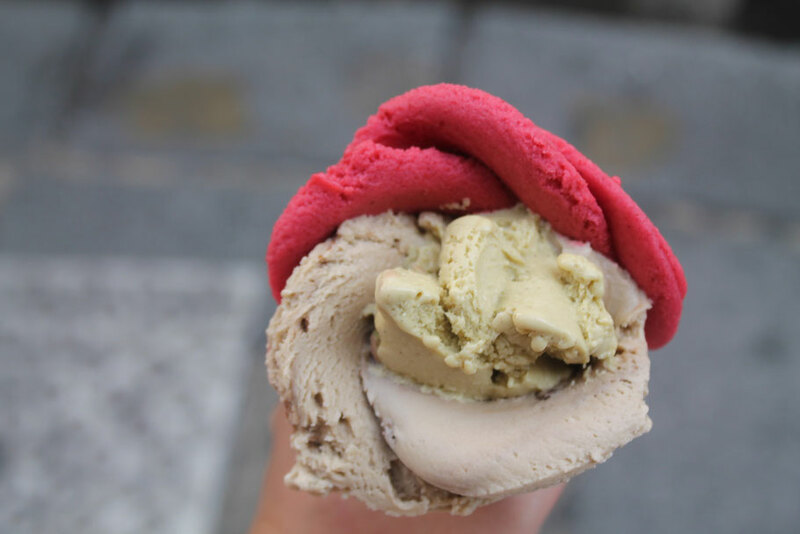 (9 days at the beginning and 4 at the end) Generally speaking Paris is an expensive city, making shopping and eating at restaurants a luxury out of our budget's reach. But you cant go wrong being a tourist in Paris, there is something fantastic to see and do for everyone. 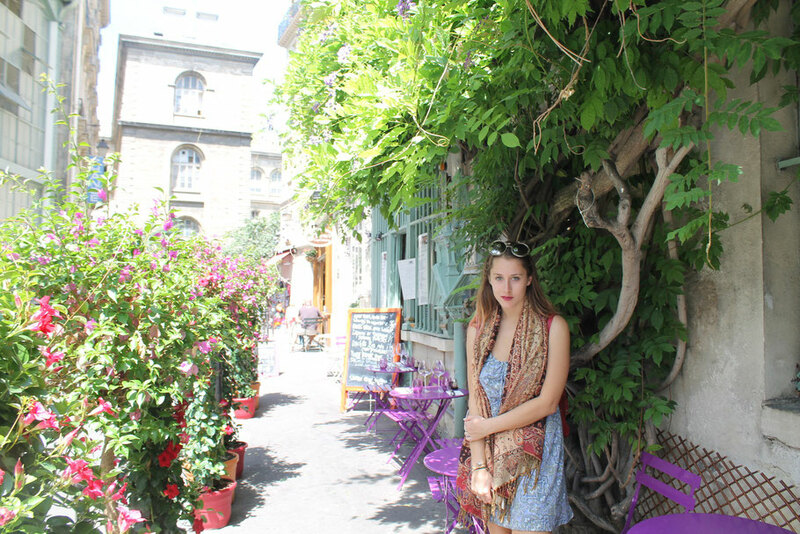 Tell any Parisian that you’re planning to visit during the summer months and they’ll shake their head in disapproval. This is when locals try to flee the city because it gets really hot, really crowded, and really pricey. 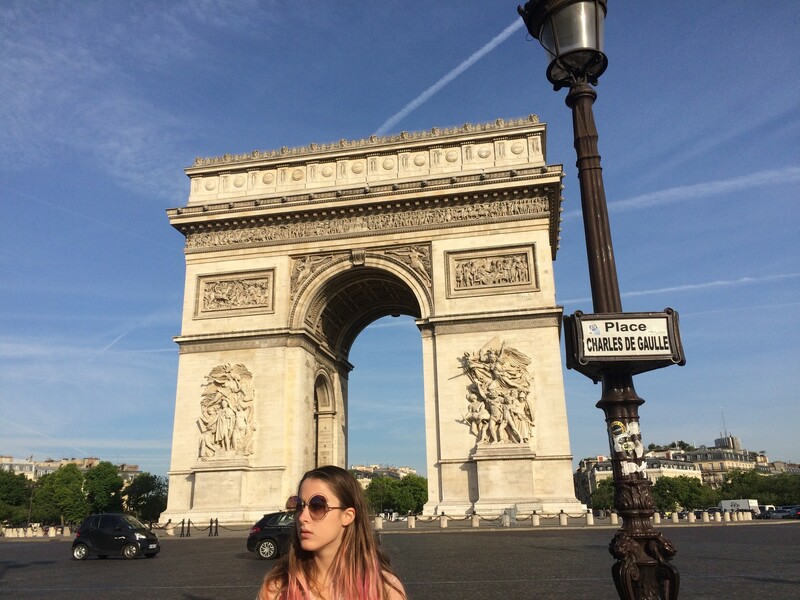 I personally, however, preferred Paris in the summer, the crowds were exciting and we still managed to stick to our budget as we booked everything in advance, plus picnicking, which was our favorite Parisian activity was not possible in 3 degree weather. Do take note though, that the heat is insane. 39 degrees with no beach, no fan and no air conditioning is not something I wish upon my worst enemy and we did struggle with it for a few days. Our apartment was close to perfect. 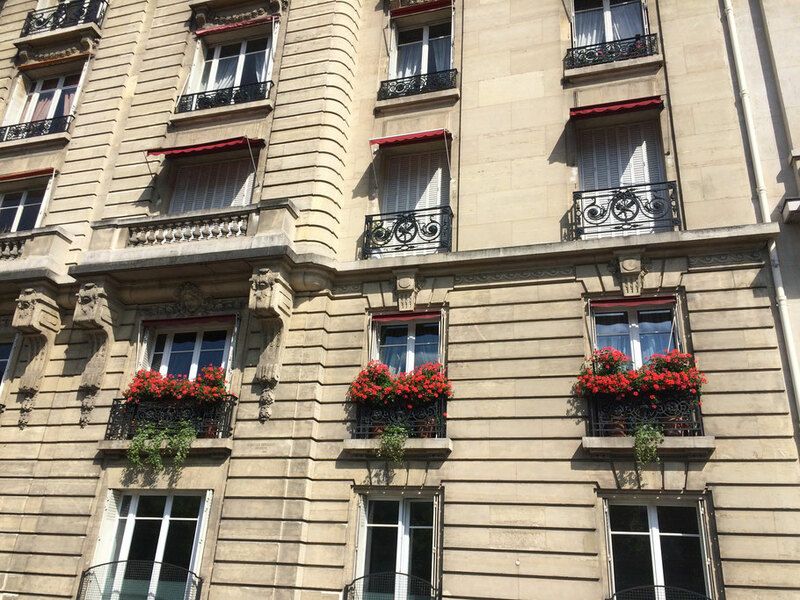 It was on the 5th floor a beautiful Parisian building in the 16th arrondissement, with a metro station literally next door and the Eiffel Tower a 10 minute walk away (we could see it from our balcony). On the same street were supermarkets, fruit stalls and boloungeries where we bought all our food that we cooked and took on picnics. 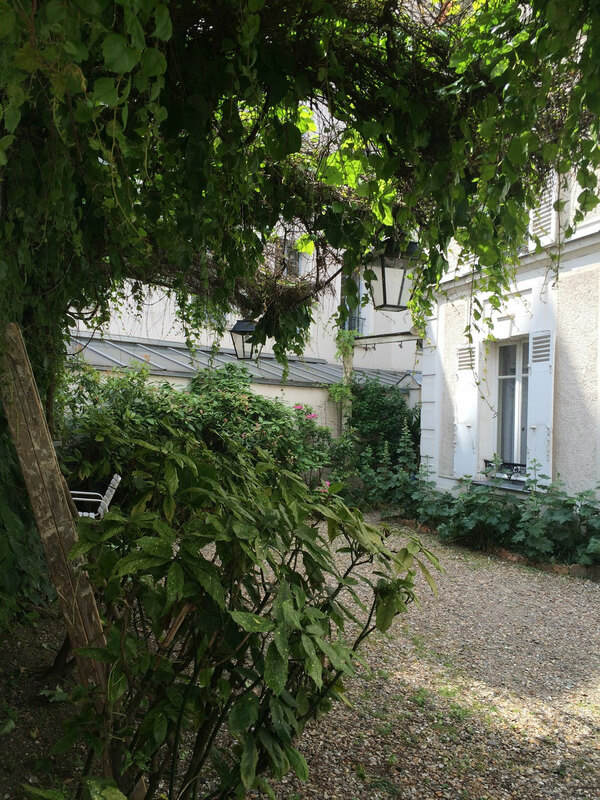 We booked it through AIRBNB for $42 a night which during peak tourist season in Paris is incredibly cheap. The room itself was far from luxurious; a box with a small window, a bed and a makeshift kitchenette but it worked okay for us until the heat set in. In winter it would have been cosy but in 39 degrees it was pretty unbearable, our window didn't open very far and we had no fan or air conditioning. Despite this, the apartment had everything else we needed and for $20 each a night we made it work. 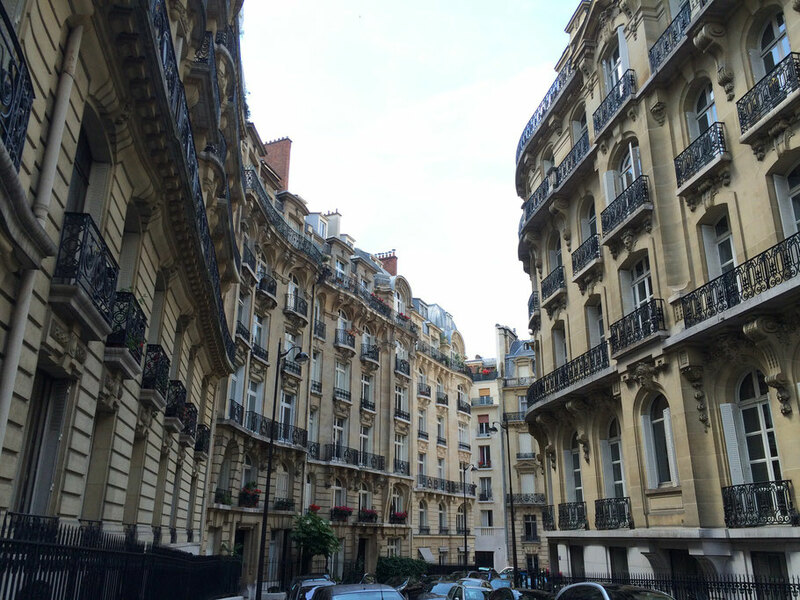 Our second time in Paris we stayed in Republique in an Airbnb that we booked last minute for $65 a night. The apartment was much bigger than our last but I preferred our first location. 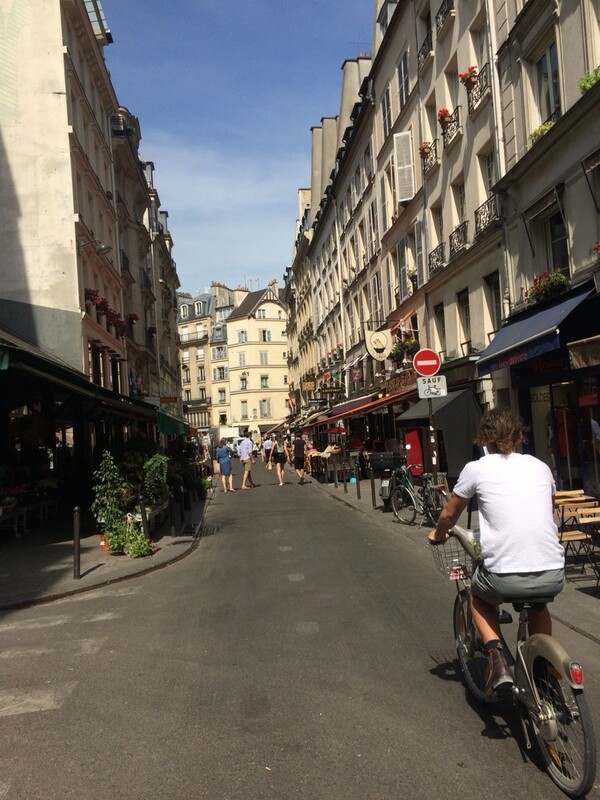 Republique is decent for moving around Paris as it is quite central however it lacked the charm and quaint atmosphere that the 16th arrondissement had. From the airport you can get a train (RER) that will take you straight into Paris for 9 euros which is a whole lot cheaper than a taxi which will cost you closer to 90 euros. 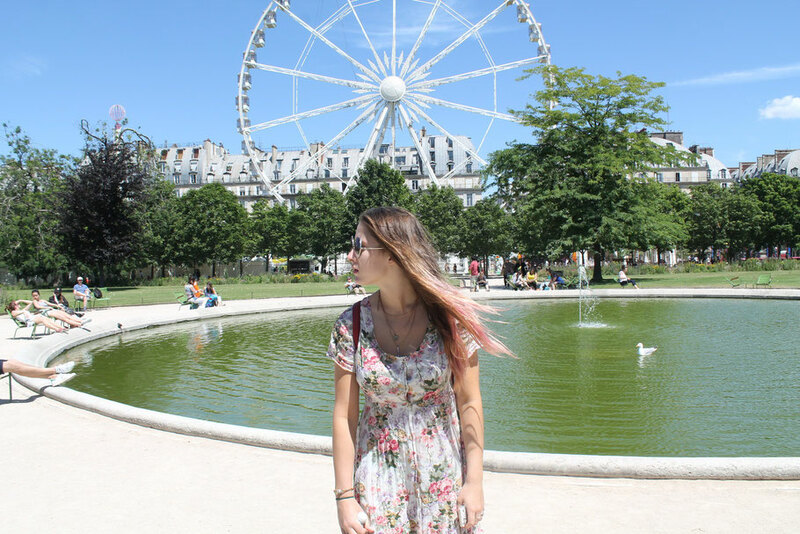 Once youre in Paris getting around is pretty easy. There are metro stations within 5 minutes of everywhere you want to go and they run regularly. We bought a travel ten metro pass that lasted us the whole trip for 14.50 euro. 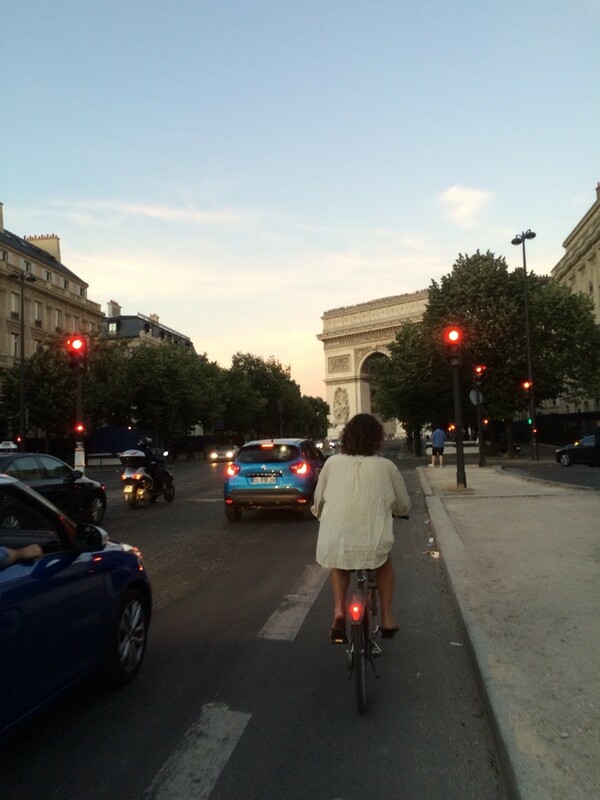 Our main mode of transport in Paris was Velib!!! Paris has a fantastic bike system, where for 8 euros a week you can hire a bike from anywhere in the city, ride it for half an hour and then return it and get another one as many times as you like. There are 1500 bike stations throughout central Paris making it incredibly easy to find and return bikes. We had so much fun navigating our way around the city looking for the next Velib station on the map. They have stations next to every monument or place you could possibly want to visit and as Paris is such a flat city (other than in Monmartre) riding was super easy and so much more fun/fast than walking as you get to see the city from above ground rather than just being stuck on the Metro. 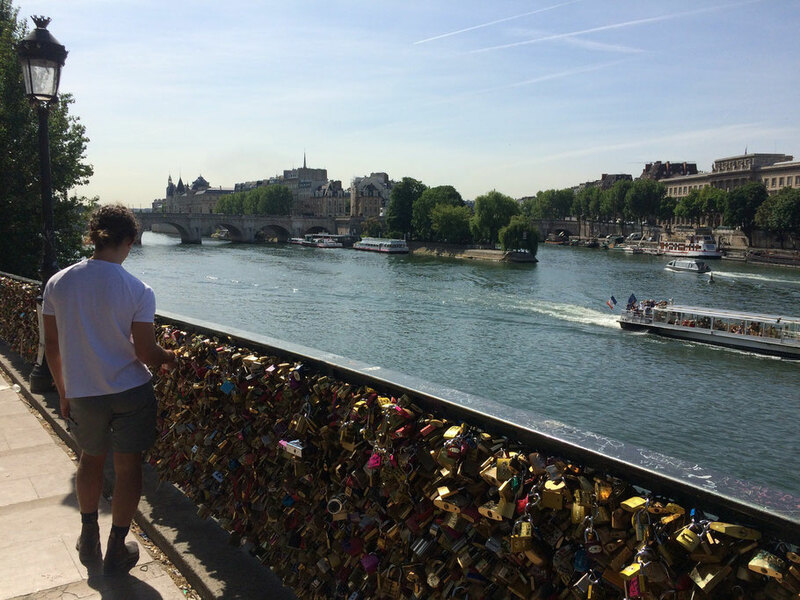 On Sundays, Paris closes off some key roads to cars allowing cyclists, runners and roller bladers free access to some of the best roads along the Seine, in the Marais and in Montmarte. 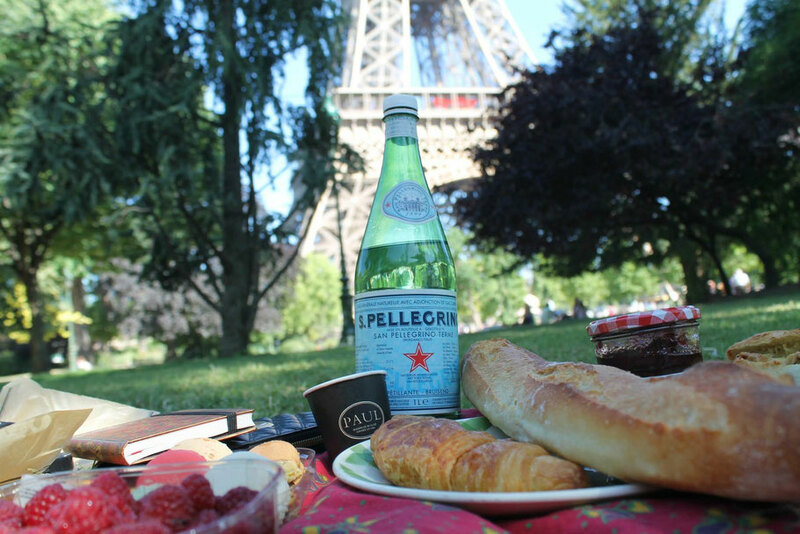 We had a velib station outside our apartment and every night after we had cooked and packed our dinner we would ride down to the Eiffel tower for a picnic. 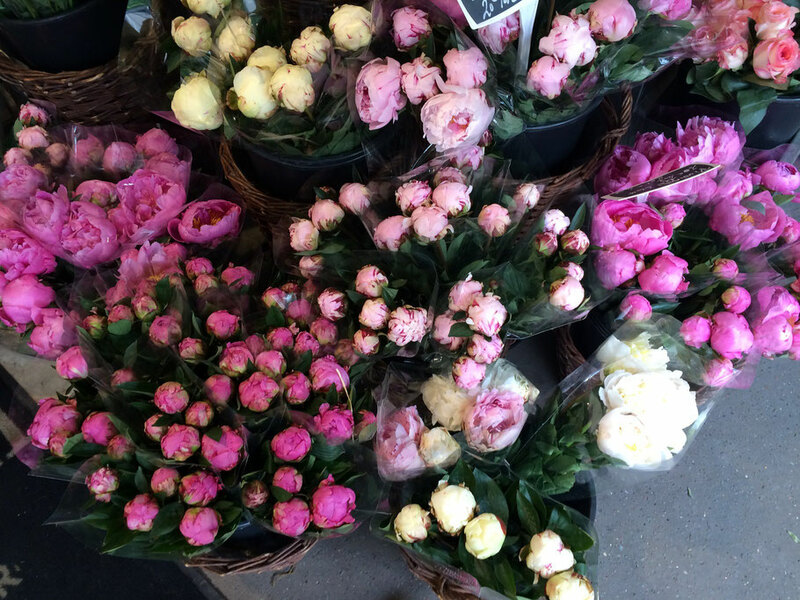 Paris is a beautiful city to get lost in which we spent 80% of our time doing. (not necessarily on purpose). A map is essential especially for first timers; 10 days in and we were still disorientated. 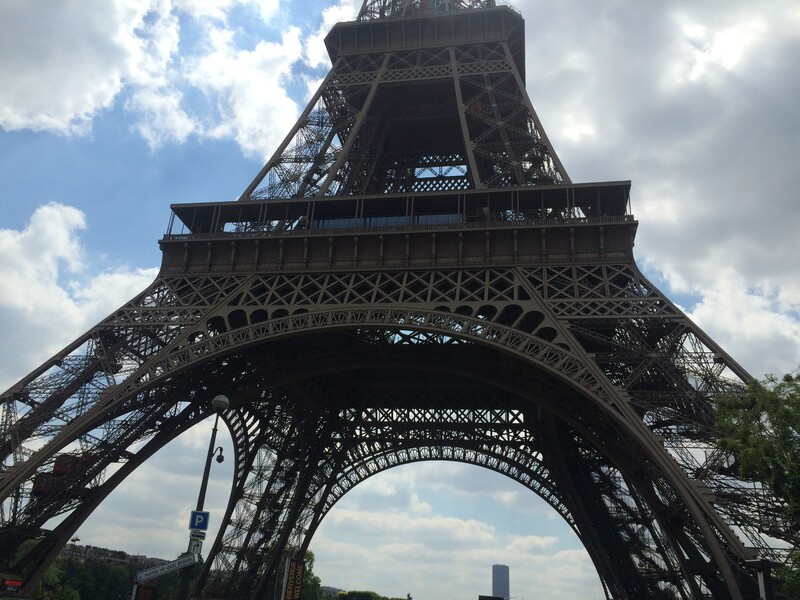 No words can explain how much I loved the Eiffel Tower. On the afternoon we arrived in Europe we spent several hours attempting to navigate our way to there (despite it only being a 10 minute walk) getting lost in a labyrinth of Parisian architecture whilst catching glimpses of the tower in between buildings. The wait was worth it. As we rounded our final corner; there it stood, framed by fountains and gardens looking more perfect than I could have ever imagined. The best part was the excitement didn't fade. Once we'd worked out the correct route from our apartment we'd picnic/sit/walk around the tower at least 3 times a day and it was always special. it sparkles every night after dark on the hour for 5 minutes and I squealed with happiness EVERY TIME. 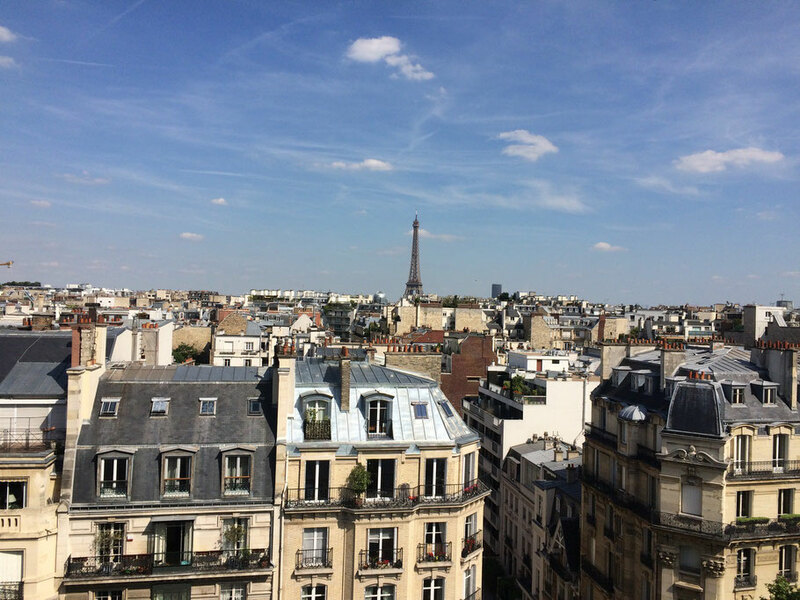 For the best initial view take the metro to the stop called Trocadero, on line 6 or 9. In the Métro station, follow the signs toward the exit marked "Tour Eiffel." We were lucky enough to have a balcony that looked out onto the Eiffel Tower so at night we could watch it sparkle before we went to bed. Underneath the tower is incredibly crowded especially in summer with people trying to sell you selfie sticks and Eiffel Tower key rings. they are easy enough to ignore although for the first few days their persistence really irritated me. At night they will try and sell you overpriced alcohol (which we read was stored in drains to keep it cold) as you picnic on the grass. Try not to make eye contact and they should leave you alone. The grass directly behind the Eiffel Tower is actually very muddy and covered in bottle caps and cigarettes, the nicer picnic spots are to the side or at the front of the Eiffel Tower next to the fountains. Night time is relativity quieter as the tourist buses are at bay and the weather is balmy making it a great time to visit. It only costs 4 euro to climb the Eiffel tower if you use the stairs to go up and the line is usually much smaller than the lift cue (we only waited 5 minutes) You can easily sneak on to the lift to go back down as they don't recheck your tickets once you're up there. The best time of day to do it is sunset because there are half the crowds, there is no sun and the whole city turns a purple/blue colour as the buildings reflects the sunset's light making it extra pretty. 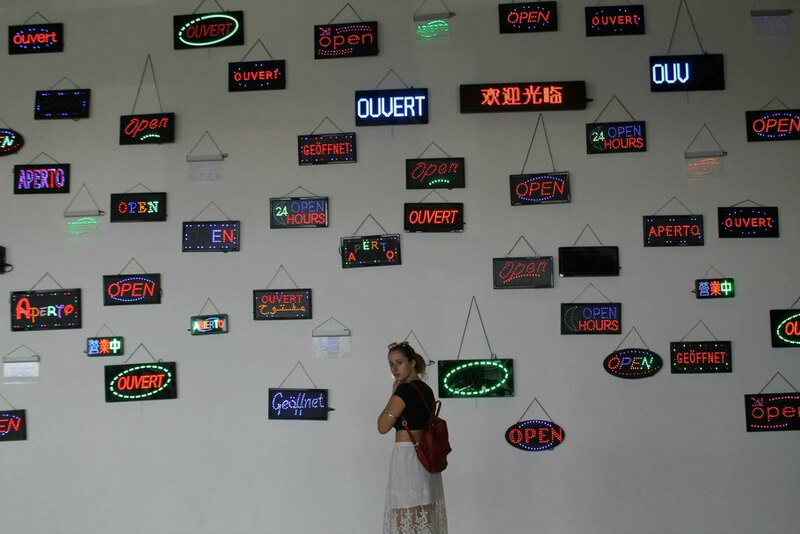 Paris Museum Pass: While all visitors to Paris can explore the city’s museums for free on the first Sunday of the month, the pass provides access to over sixty museums for two, four or six consecutive days, and is great value if you plan on going to heaps. On our third day in Paris we bought a 4 day pass for 52 euros which we used to visit art galleries, museums and Versailles. Musee del' Orangarie. 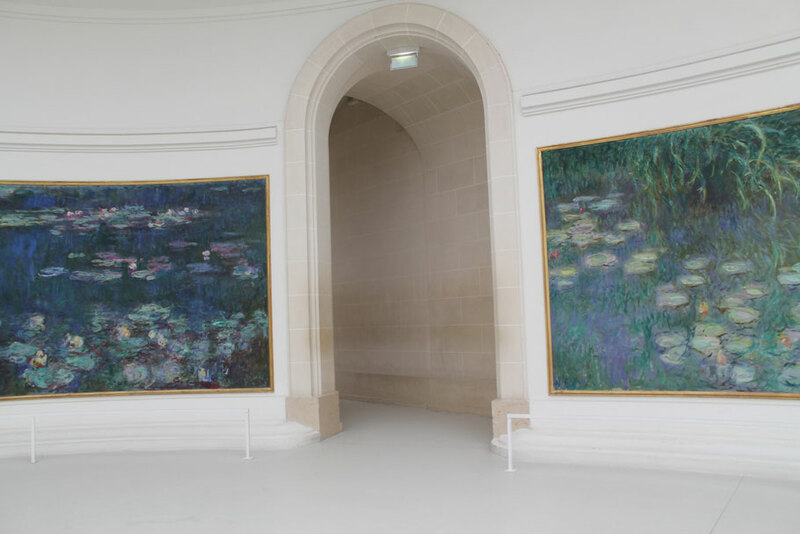 This is a gallery in a corner of the Tuileries gardens that features 8 of Monet's waterlily murals. 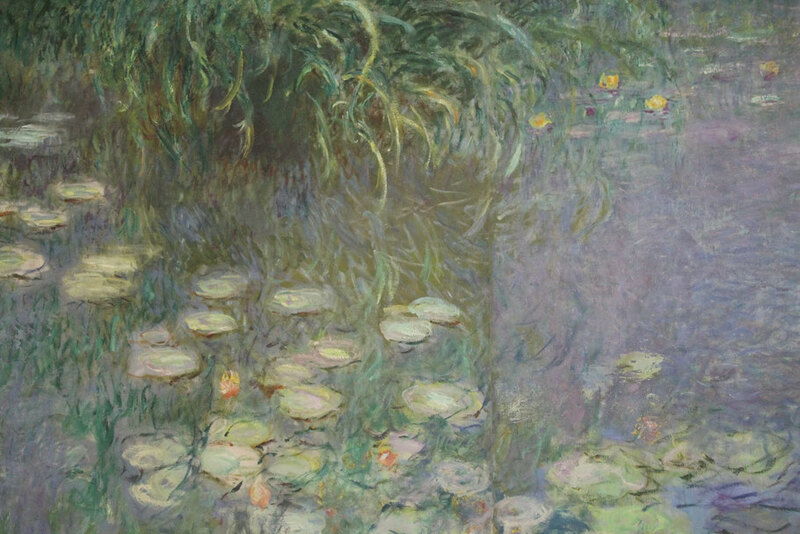 The gallery's building was originally an orangery and Monet created his works to fit the building's curved walls. The murals line the walls of several rooms that are naturally lit. I would allow at least an hour for this small gallery as Monet's works are incredibly special and other sections of the Gallery are worth seeing as well. The Pompidou Centre is Paris's famous modern art gallery. It is in La Marais and is one of the strangest buildings I have ever seen. I personalty think its incredibly ugly and an eyesore amongst the flawless Parisian architecture however maybe that is the point? Allow at least 3 hours to browse through all the artworks here and make sure you go to the top floor to look at the view. Saint Chappelle. Without giving too much of its beauty away, Saint Chappelle is a small gothic chapel in the Il de la cite with the most amazing stained glass windows you have ever seen. Despite its size I would allow at least an hour to see the chapel as that gives you time to read about all its history and take in all the colours. Also, to avoid the line (which can be up to an hour long) you can enter via the law courts that are next door. 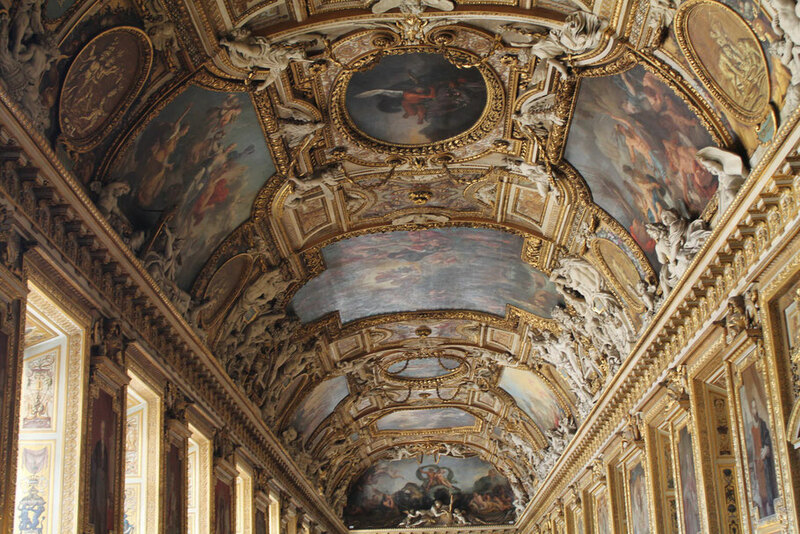 No trip to Paris is complete without visiting The Louvre at least once. We skipped the cue by using out museum passes to enter through the group and disabled persons entrance which is worth a try because the lines can be upwards of 2 hours. As for the museum itself allow at least 3-4 hours, some people say they come back day after day and still never see everything. Expect crown jewels and room fittings from royal french palaces, mummys from ancient Egypt and a sphinx, the Mona Lisa, the Statue of David and painted ceilings like nothing you have ever seen. 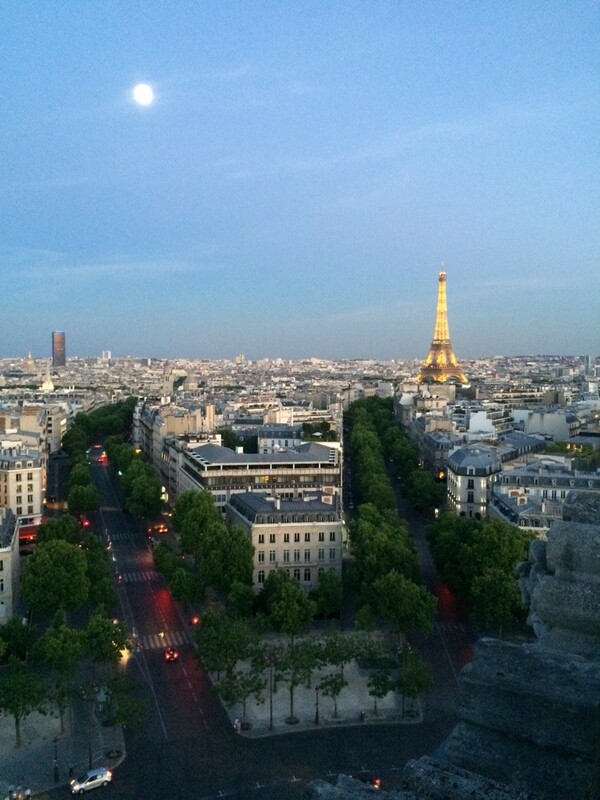 The Arc de Triumph has an amazing view over the city and you can climb it as a part of your museum pass. Be prepared for a million steps in a tiny spiraling stairwell. We went at sunset to avoid the crowds and the heat. This was also my favorite time of day in Paris, people refer to it as Blue hour because the whole city glows a blue tinge as the sun sets. This monument is impressive in itself so even if you don't plan on climbing it make sure you dedicate some time to standing underneath it. 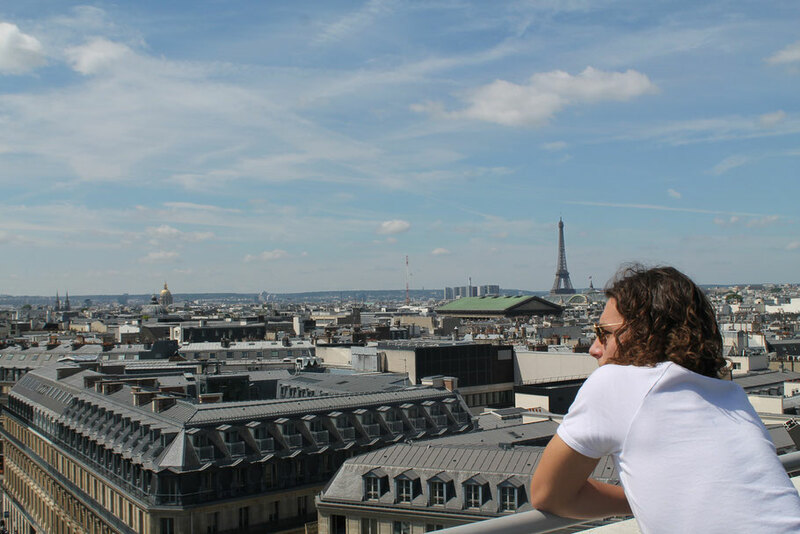 We stumbled upon Galleries Lafayette, whilst exploring the city on a blistering hot day and got an incredibly pleasant surprise. The ceiling of the main building is absolutely spectacular and you'll hurt your neck from trying to look at it for too long. The building also has an amazing rooftop with chairs and a few cafes that look out over the entire city. 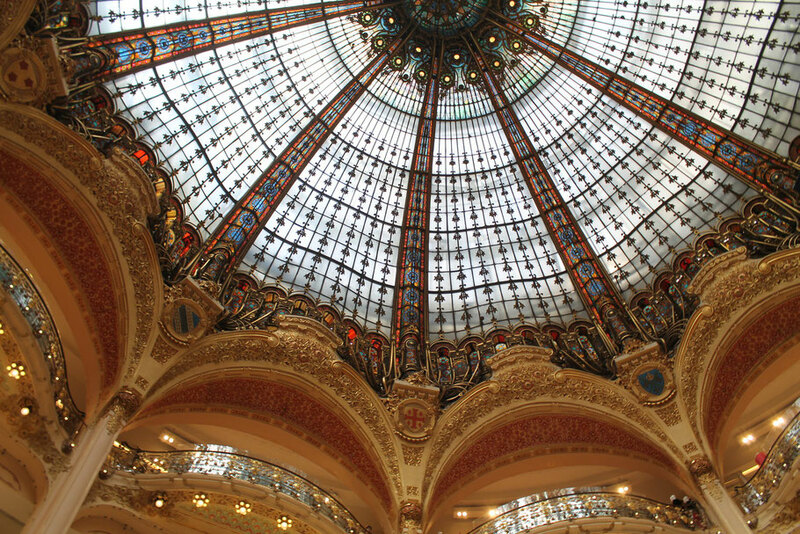 Its a shopping center (like Queen Victoria Building in Sydney) so its free to get in and you get to look at some pretty french clothing as you walk through as well! 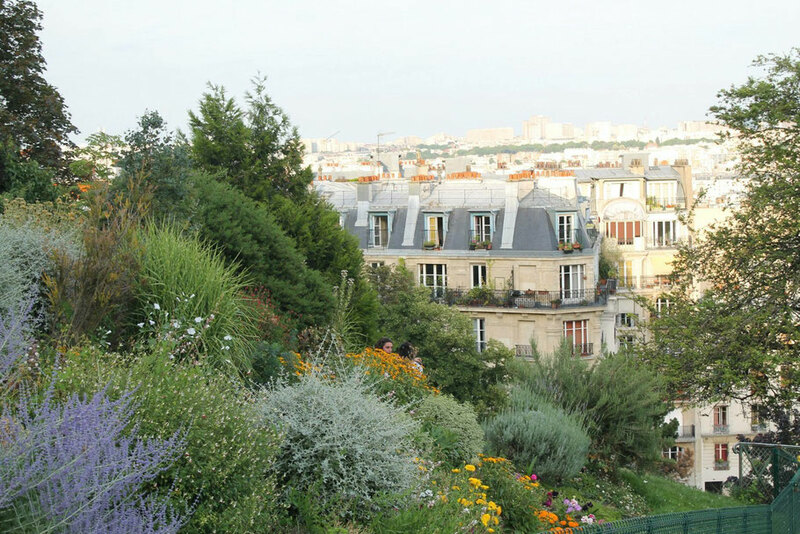 Make sure you dedicate a day to exploring the Montemarte area of Paris. 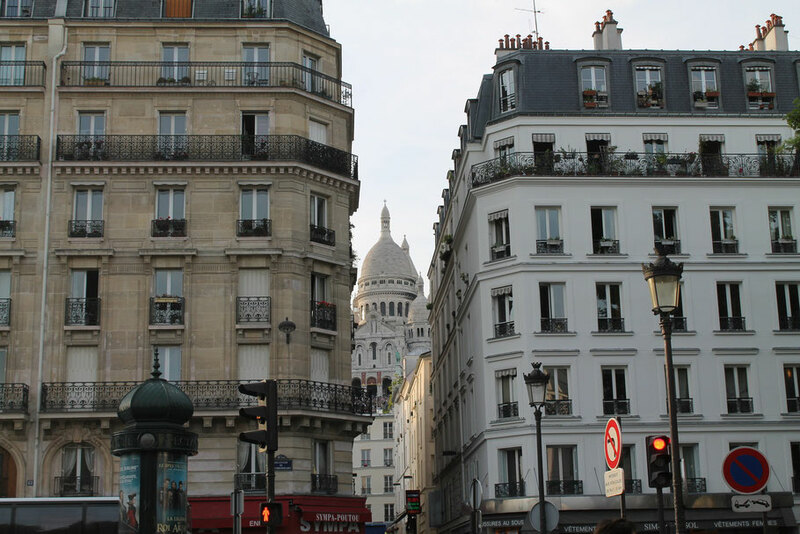 It's often given a dingy name but this region is bustling with french cafes and boutiques and is home to the likes of Sacre Couer and the Moulin Rouge. Unlike the rest of Paris this area is quite hilly so leave your bikes at home. 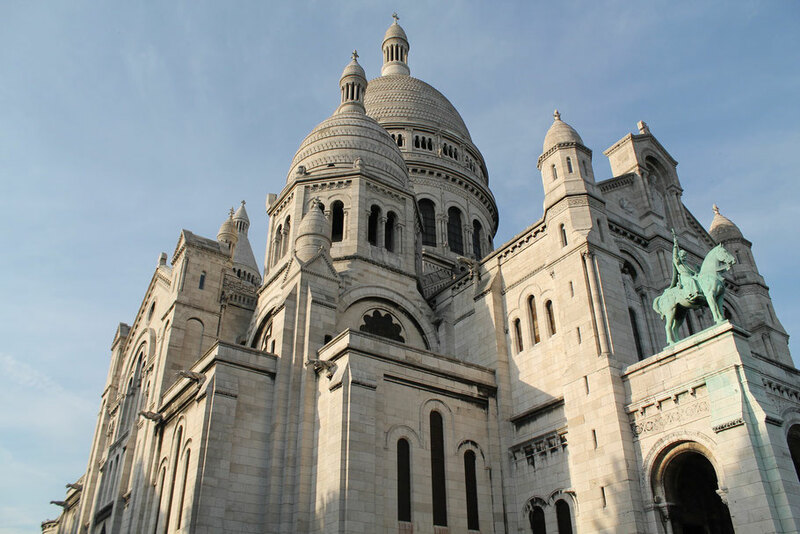 Sitting on the Sacre couer steps at sunset is also a must whilst in Paris and while you're there make sure you explore the winding streets behind the basilica as they are full of unique buildings, art galleries and french cafes. 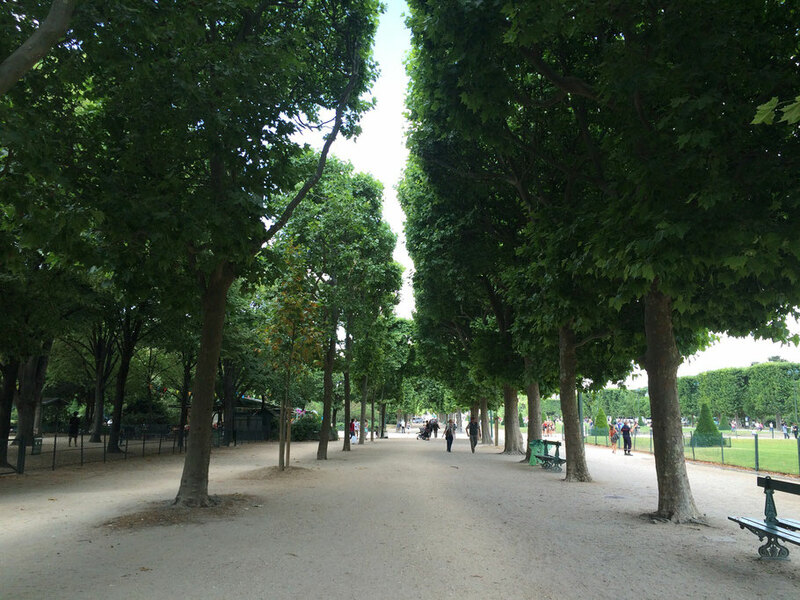 The gardens in Paris are incredible, with Luxembourg and Tuileries being my two favorites. 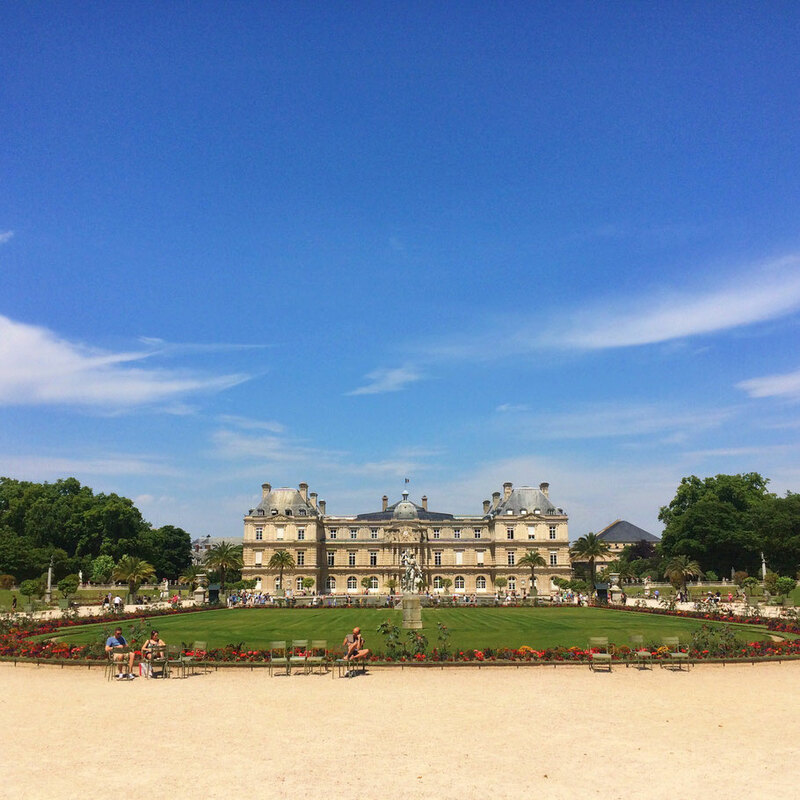 Luxembourg has a massive palace, an impressive lake and miles of perfectly lined trees and flowerbeds making it the ideal picnic destination. 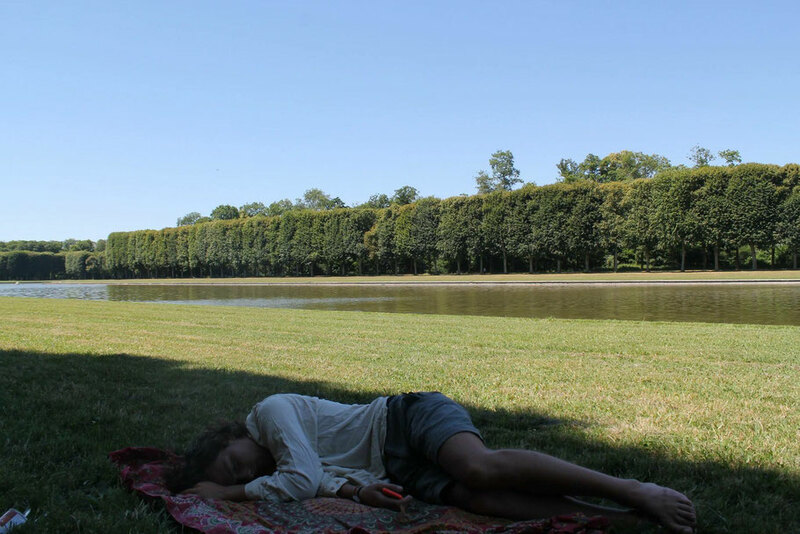 You can either sit on a green park bench in the shade like a true Frenchman or spread out on the designated grass spots . Although we didn't do one here a free walking tour would be a great way to learn a little about the city. Due to its size, walking tours would be split into sections so make sure you choose an area you are most interested in. 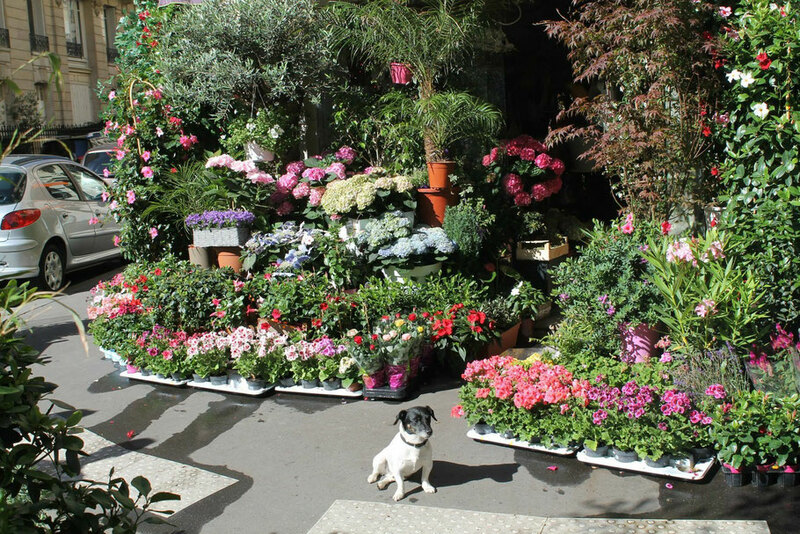 They work for tips and offer some great insights into the sights and attractions of the city so they are best done on your first or second day. You can find free walking tour companies online or in tourist centers. Notre Dame. 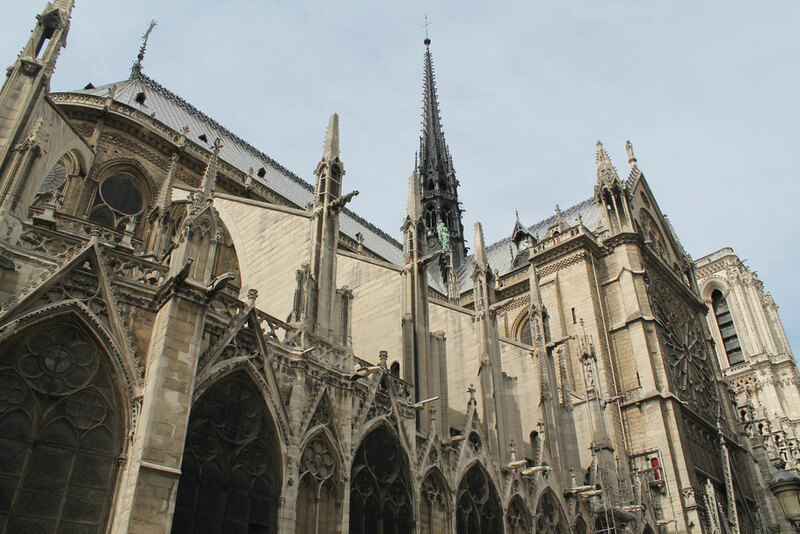 The iconic cathedral is one of Paris’ most distinctive landmarks, and while it may not currently have a hunchback, it is an amazing example of French Gothic architecture that has been at the heart of religious life in the country ever since it was completed in 1345. 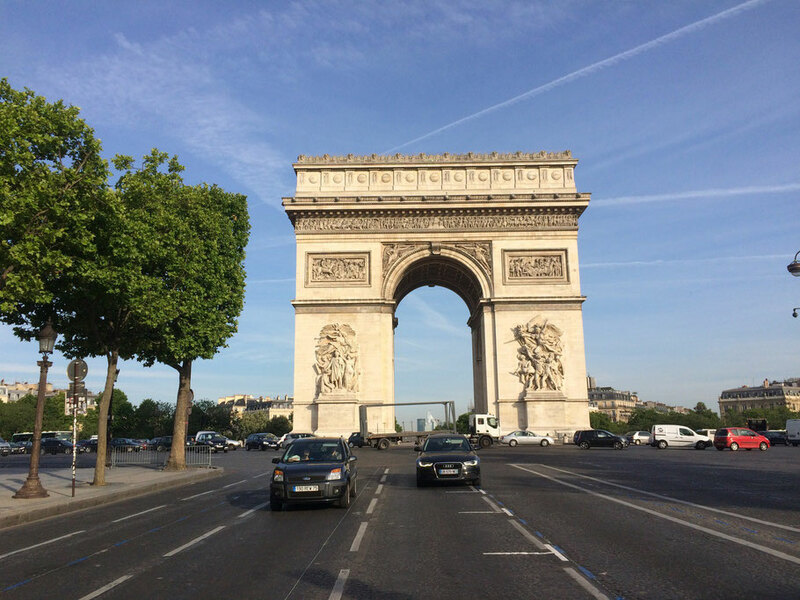 Champs Elysees: This busy street is lined with trees on both sides and is a spectacular way to approach the Arc de Triomphe. It’s also a wonderful shopping and dining street and is home to the climax of the annual Tour de France cycling race. It is a true sight to behold. It’s worth making the Metro trip on Line 6 between Passy and Bir-Hakeim for amazing views of the Eiffel Tower as the Metro crosses the river on a viaduct. 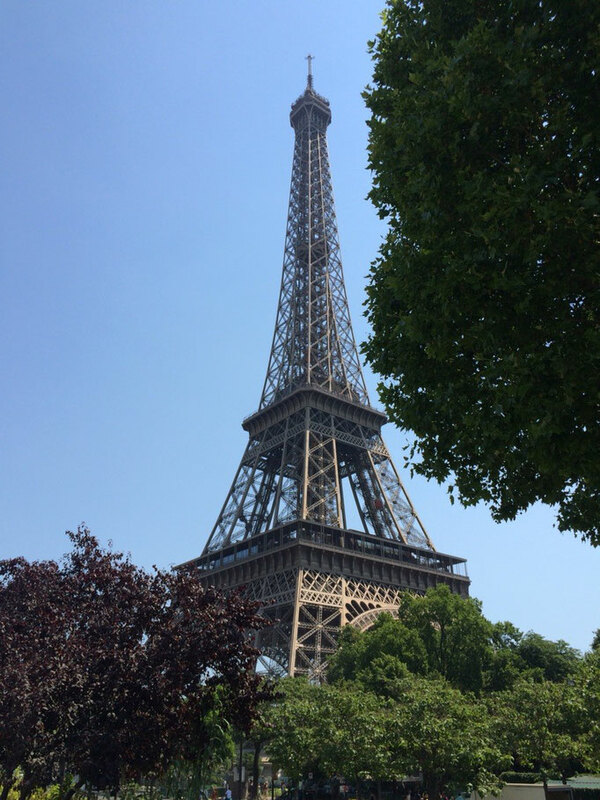 The Batobus (ferry) does a hop-on-hop-off loop up and down the river from the Jardin des Plantes to the Eiffel Tower. Tickets cost €16 for one day, but better value is the two consecutive day pass for €18 per person. Le Marais: Located in the third and fourth arrondisements, this area of Paris has long been where the aristocrats have lived, and now has a vibrant Jewish community along with some of the city’s best hotels and art galleries. 1st Arrondisement: Home to many of the city’s main sights including the Royal Palace and the Louvre, this is usually the starting point for those visiting Paris for the first time. 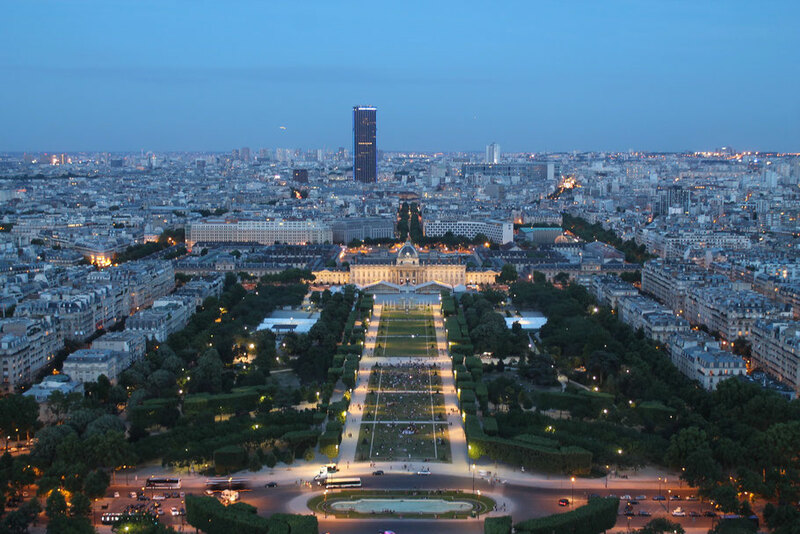 8th Arrondisement: A popular area of the city that is home to several impressive Palaces, along with the Arc de Triomphe and the Champs-Elysees. Versailles and I have a love/hate relationship which was established on the 37 degree day that we crawled our way through its kilometers of gardens. We knew there would be crowds but the reality was nothing like I expected. Although we arrived half an hour before it opened it seemed everyone else in Paris had the same idea. The gardens catered for such numbers but the same could not be said for the chateau that was full to the brim with sweaty, noisy, impatient tourists. It was impossible to fully enjoy any of the beauty or history whilst being shoved by a fat, 50 something american tourist who was also breathing down the back of your neck. palace itself was crowded beyond belief, especially the Hall of Mirrors and the King’s and Queen’s State Apartments. Another hurdle was thrown at us when we were told we would have to pay an extra 9 euros each to enter the gardens (on top of the ticket we had already bought) as there was a 'fountain show'. Despite our best efforts to sneak in via a hedge we were forced to pay the extra money ruining our budget for the day. 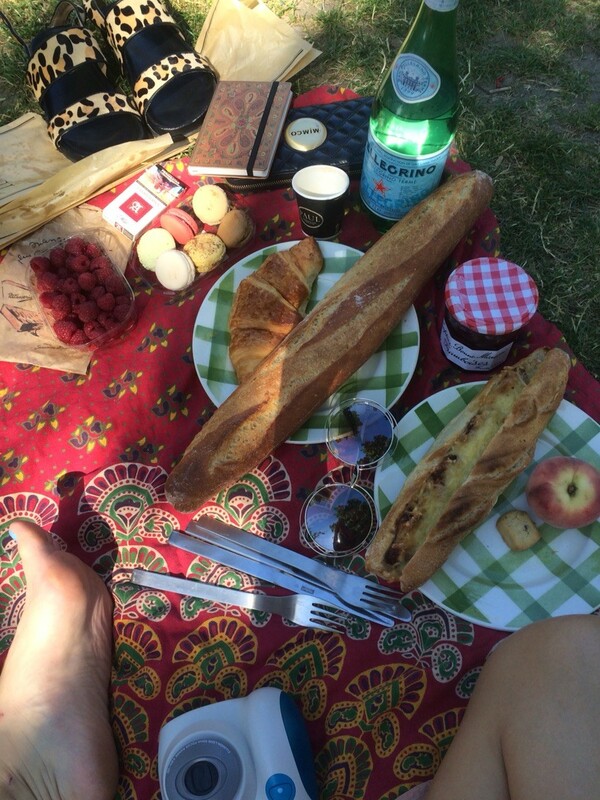 Pack an extensive picnic. We were uncertain as to whether you were allowed to bring food in so we didn't pack a lunch. The cafes (as expected) were ludicrously expensive so we went hungry. 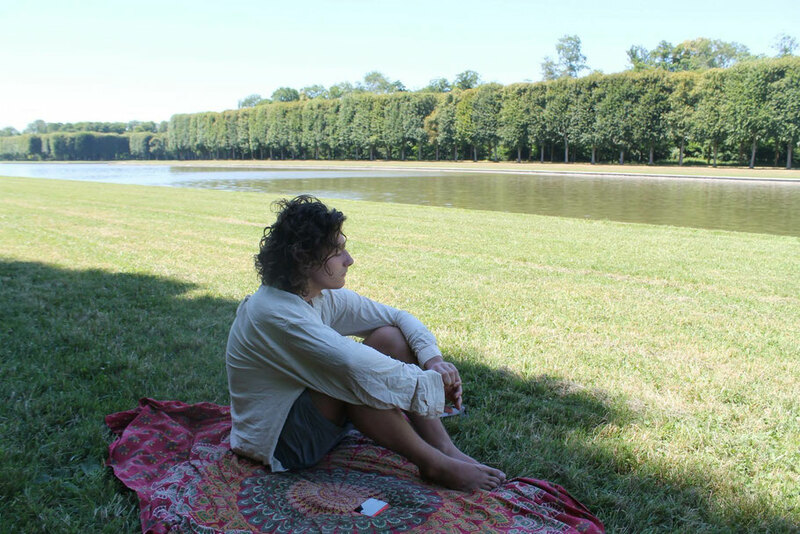 Not only that but the grounds are home to some of the most beautiful picnic spots i have ever seen. so bring a rug and some champagne and celebrate in the shade by the grand canal. 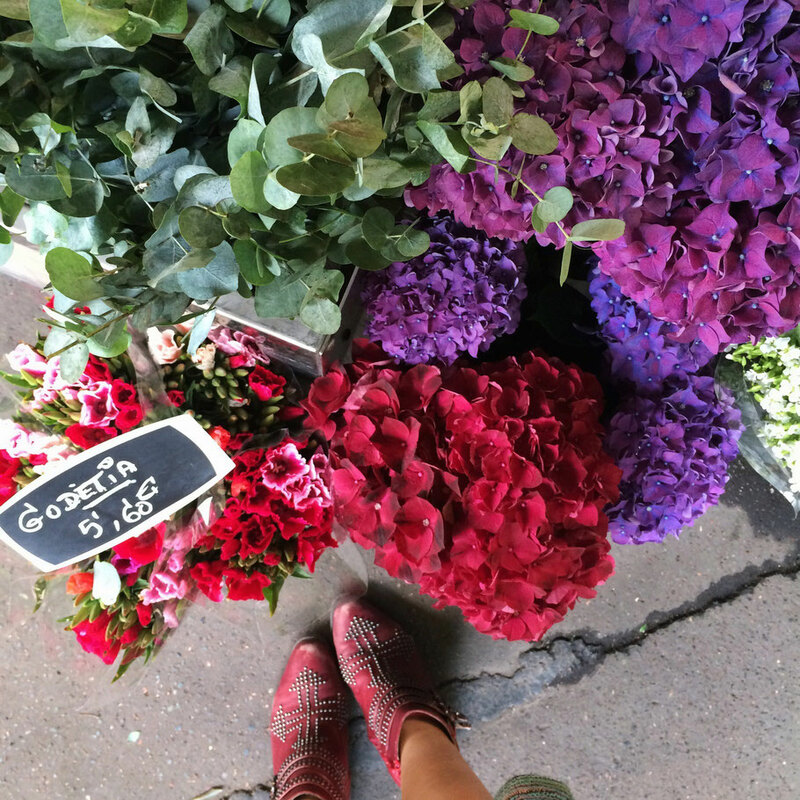 Hire a bike to save your feet a little (even though its expensive). It costs around 15 euro for half a day. We didn't due to our budget but it would make exploring the grounds a lot easier. Get there before 8;30 even though it opens at 9, we got there at 8:45 and the line was so long already we couldn't even see where it started and ended. It takes about 40 minutes by train from Paris. Wear really comfy walking shoes because even if you do hire a bike, the palace is massive and you can't ride around in there. Also if you can, don't visit in summer. Its too hot, there are people everywhere as it is peak tourist season and they up their prices because of 'fountain shows' which were nothing exciting (and definitely not worth 9 euros). 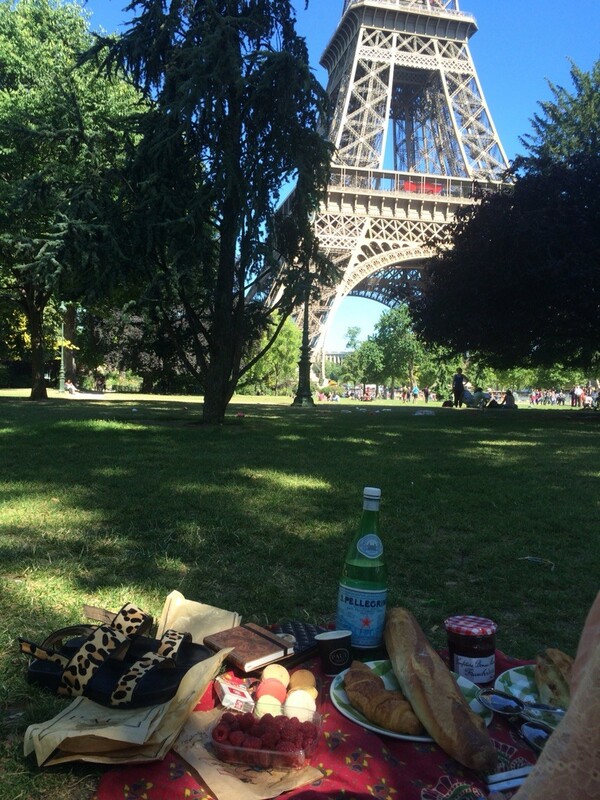 On our budget we found it impossible to eat out in Paris. As it was our first European destination paying for everything in euro was still a bit of a shock. A bowl of pasta that cost 12 euros was actually $20 and so we ran around converting all the menu prices and ended up just eating weetbix in our apartment. All the menus are in french (obviously) and are often set, (meaning you get an entree, main and desert and you select from a limited menu for a set price) In some places you pay more to sit outside than inside and in others take away is more expensive. 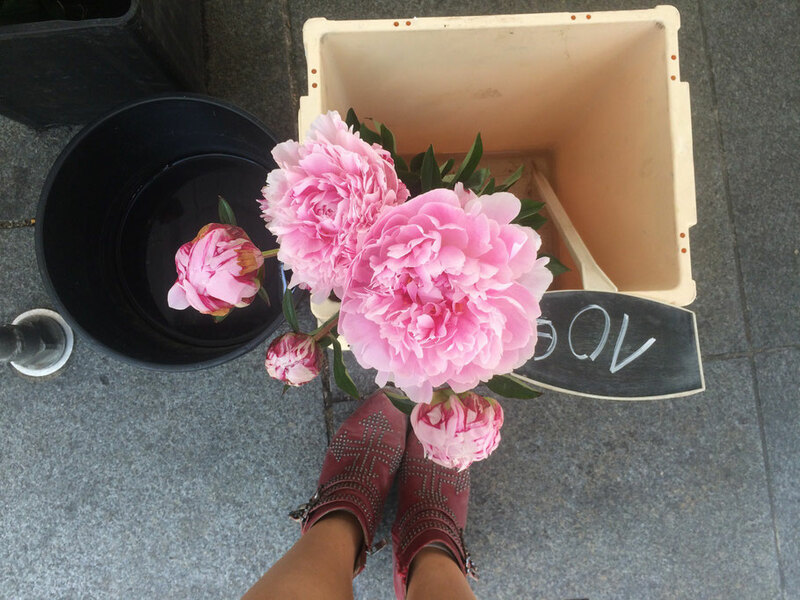 Despite my desperation for a Parisian breakfast on the footpath of a bustling street, the food was just too expensive and we couldn't validate spending 7 euro on a coffee and a croissant just so we could sit on a chair on the side of the road. For breakfast most days we had cereal in our apartment and I ran down to the bolougerie below our apartment and got a baguette, some berries and pastries. This usually only cost around 4 euro for both of us, and our cereal boxes lasted most of the trip. 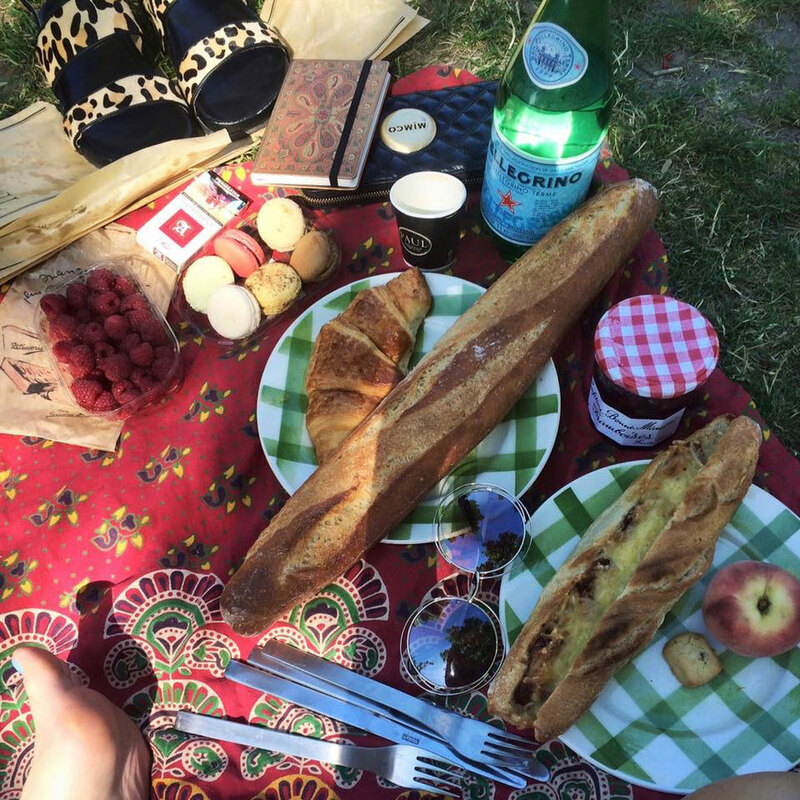 Some mornings we had brunch orientated picnics with baguettes, macaroons, prosciutto, cheese, berries, cream and champagne. 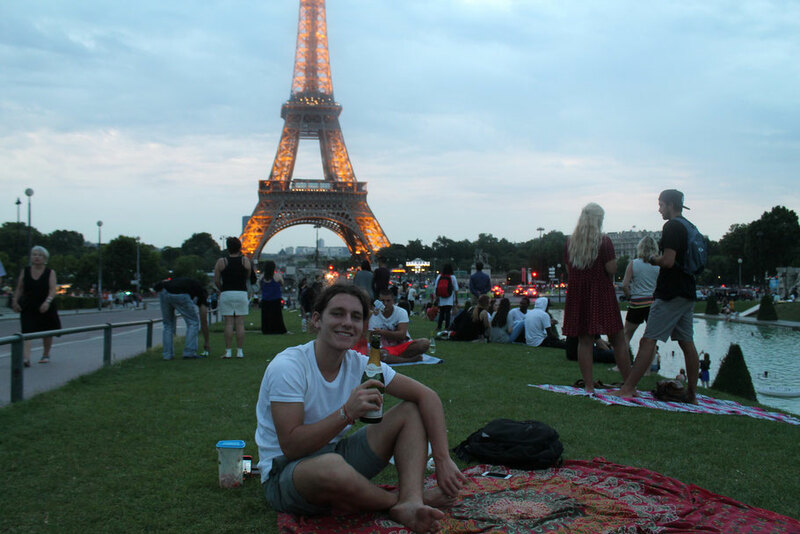 We'd usually spend a few hours grazing on the delicious food and resting from all the walking and riding around the city we were doing whilst gazing up at the Eiffel tower. For lunch we literally scraped together anything we could. Some days we had fruit and a pre-made sandwich from a bakery or a supermarket for about 4 euro each. Every night before we went to bed we would freeze water and juice so that it would stay cold for lunch the next day. 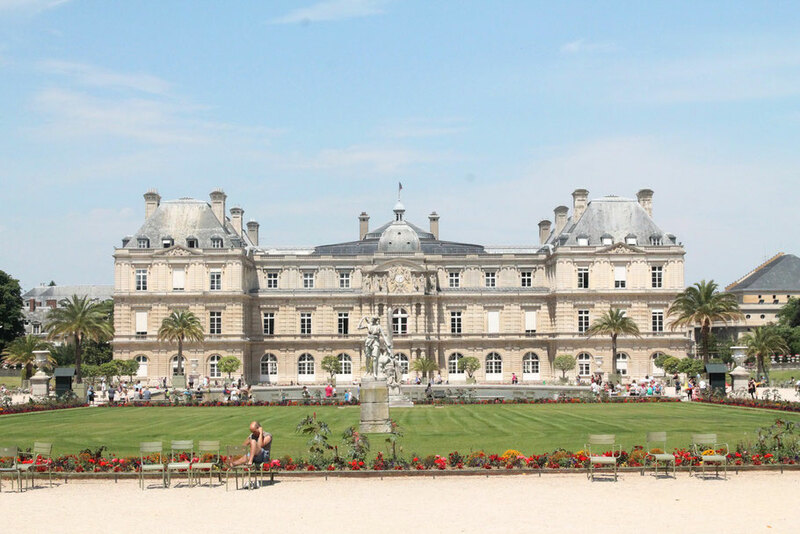 We usually found a pretty park to eat lunch in, with Jardin des Luxembourg and Jardin des Tuileries being our favorites. 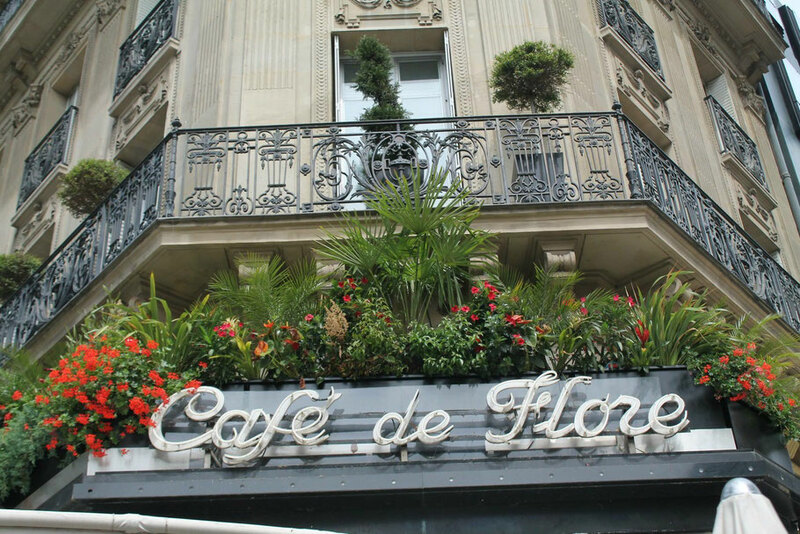 One day we did actually go to a cafe for a late lunch (which doubled as dinner) In areas such as the Latin quarter, near Notre Dame, lots of the cafes and restaurants have set 10 euro menus which is what we had. They are quite good value if your looking for something a little more luxurious than a ham and cheese baguette although we had to remind ourselves that 10 euro is actually $15 which on a budget is a lot to spend on lunch. 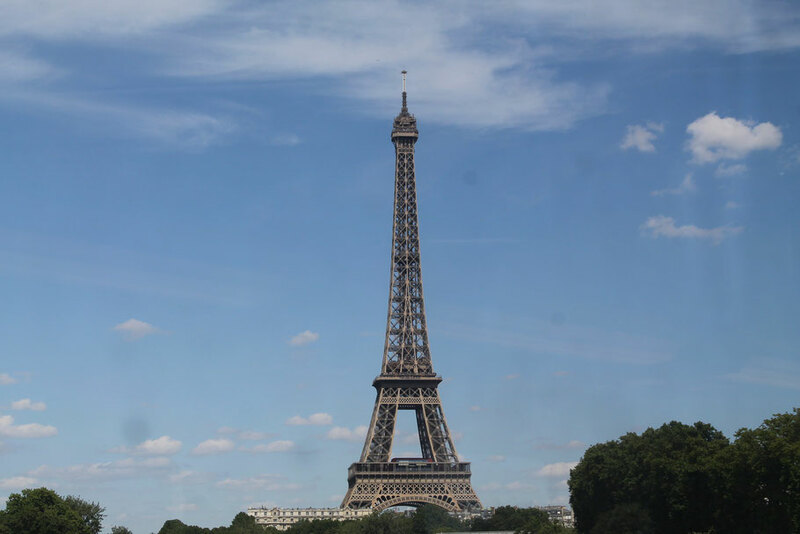 For dinner every night we went to the supermarket and made either pasta, a salad or chicken, packed it in a plastic container and rode to the Eiffel Tower for a picnic. 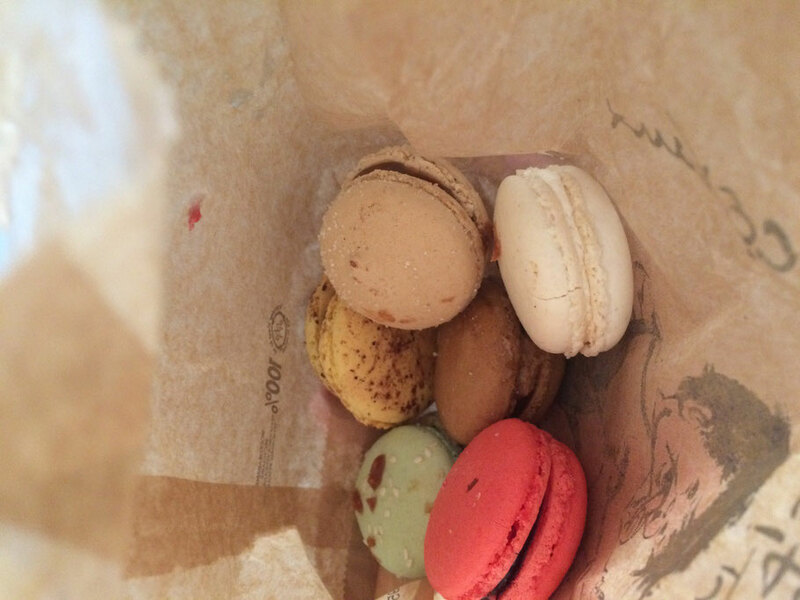 This was definitely the highlight of my time in Paris. Our accommodation was only a 5 minute bike ride away so the food was always still hot and the sun didn't set until nearly midnight. We'd usually not eat dinner until 9;30 or later and we'd stay sitting under the Eiffel Tower until around 1am because the atmosphere was simply magic.